Order Here! 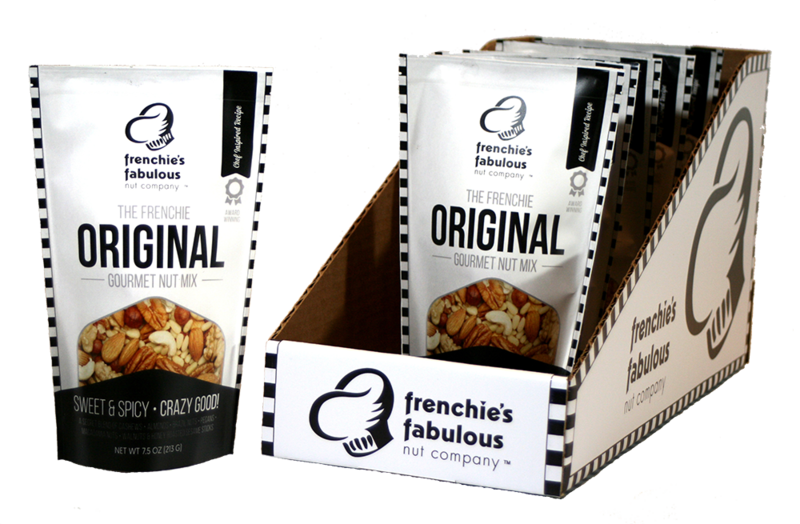 — Frenchie's Fabulous Nut Co.
For individual or smaller orders of our nuts, purchase our fabulous nuts in 12.5 ounce or 16 ounce jars. For large corporate orders for retail sale, click the button below to contact Jerry Smallwood.